23rd July 2009. New Mapping System, Place Administrators Wanted, Selling? 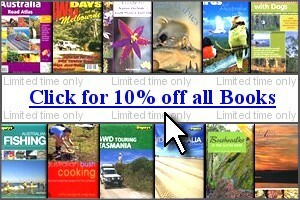 Consider the classifieds, 10% off all Books, and a New Trek - Savannah Way. The Trader has been the area of interest recently - with loads of new listings appearing. The feedback from sellers says it all - with many people reporting how quickly gear is sold with minimum fuss. It's fairly obvious that if you've got something that is in any way related to the ExplorOz themes, it's a good bet that you'll find a buyer right here. Some tips for sellers - do your research and get the price right; go for Display or Premium Listings that include full page advertisements that you build with photos and include as much as text as you can to showcase your item for sale. Including photos gives far greater exposure and longevity to your ads and ensures they don't get lost in the mix. Personal Members get the scoop on the newest Trader listings in their MyHome page. Business Members' profiles show links to their Dealer Trader Listings. 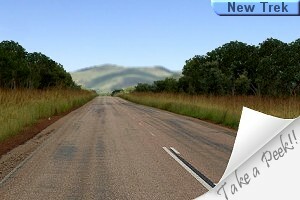 personalised routes - where you plan and create a series of connecting roads/tracks as your trip itinerary. user treks - your own publications based on a template. blog integration - used for adding personalised routes/user treks into blogs - allowing users to share their travel itinerary with others. downloads - finally a method for you to extract and keep the bits you find useful such as waypoints, plots, map images, whole trek notes (eg. pdf), etc. seamless printing - outputting site content in a printer-friendly way. product integration - to find maps/books based on position relevance. instructional tutorials - to help you get the best from our service. Do you enjoy using thePlaces system? If so, you may be interested in a new opportunity to become an official volunteer member of the ExplorOz Team working from your own computer. We are currently looking for “Place Administrators” to perform tasks like adding descriptions and photos, moving or deleting places that are incorrect, and updating facts and features. If you think you’ve got what it takes or have the passion - drop us anemail. We’d love to hear from you. Find out all you need to know about travelling the Savannah Way. Our newsletter is distributed to 41,352 subscribers on a fortnightly basis.